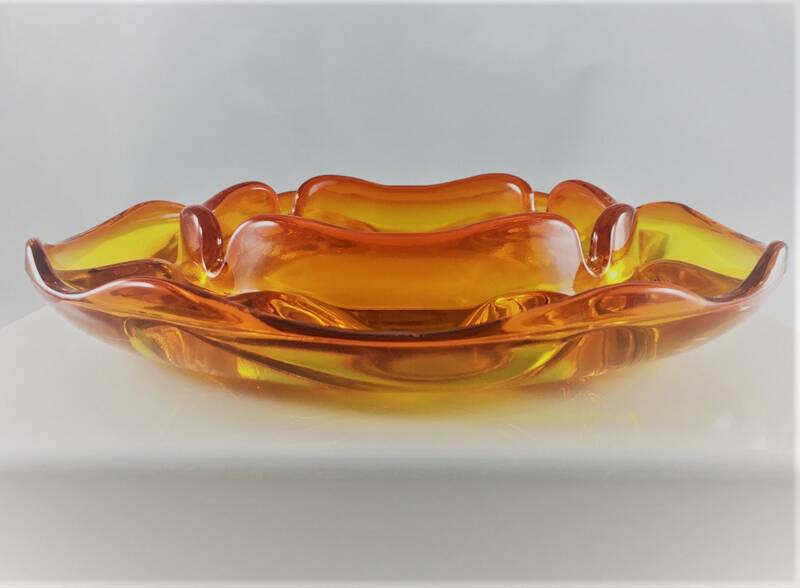 Featured here is a large vintage amberina orange glass ashtray. 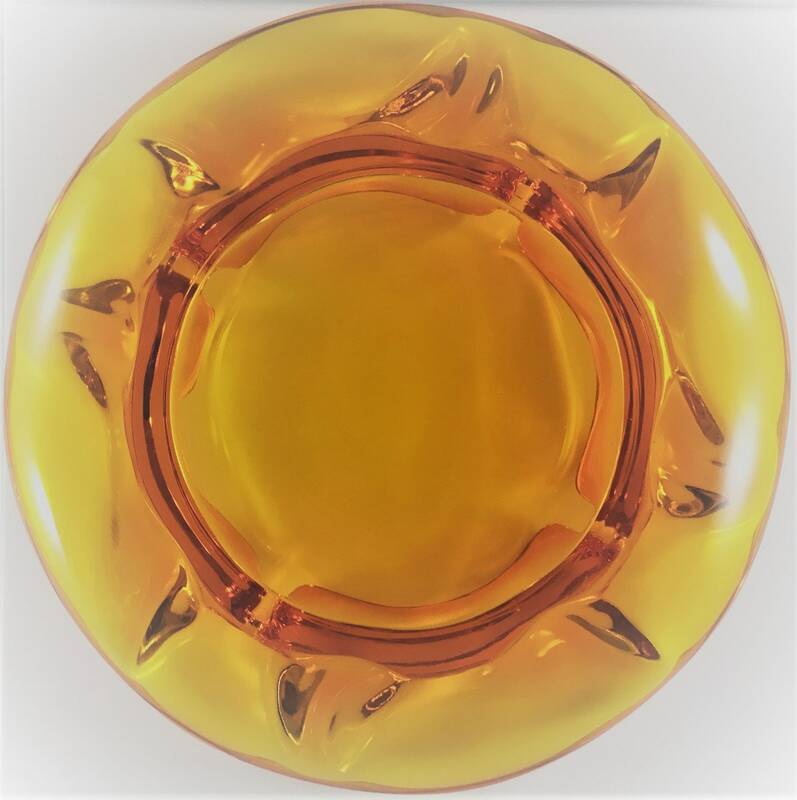 This circular piece is about 8 3/4 inches in diameter and 1 1/2 inches high. 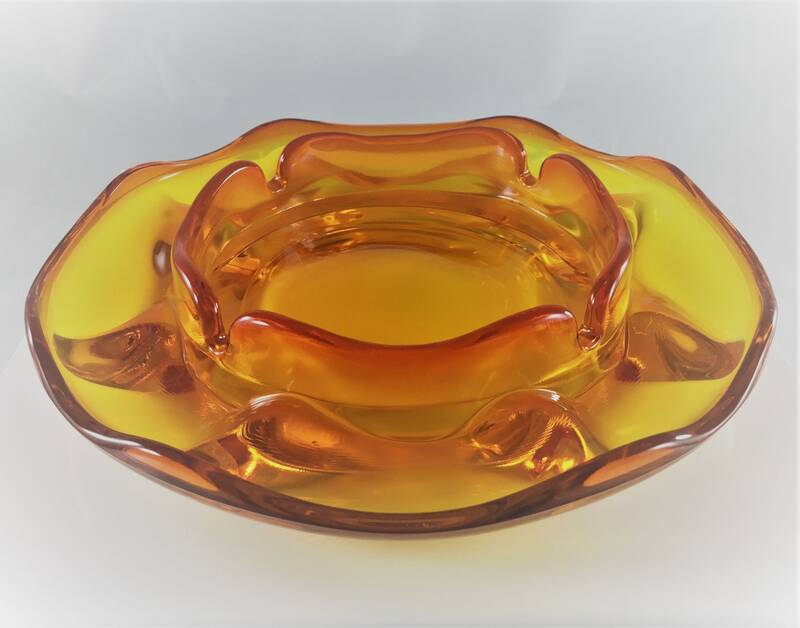 This heavy tray has a sculpted wavy design and four rests to accommodate cigarettes. Not a smoker? 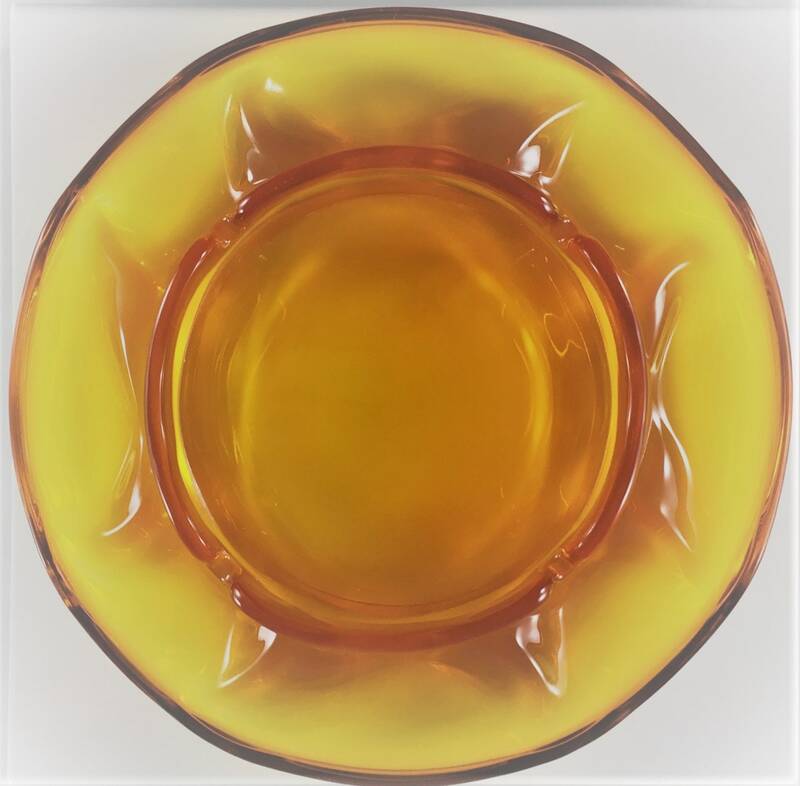 This piece would make an awesome trinket dish or bowl. Perfect for the nightstand or foyer table to catch those odds and ends that fill your pockets. Excellent vintage condition, free from chips or cracks. 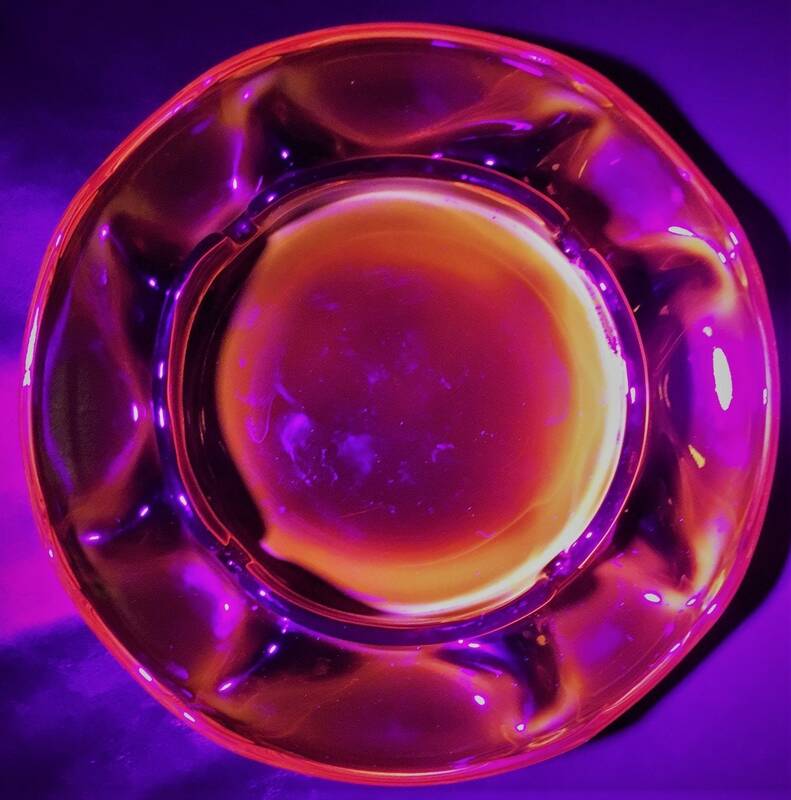 Stunning under UV light (see photo).